More than two dozen independent bookstores in the greater Chicago area—from Lake Forest to Beverly, and Naperville to the Loop—are collaborating on a third annual #ChiLoveBooks Challenge, which encourages book lovers to indulge in bookstore tourism by visiting 10 or more stores in a single day. Quimby’s is proud to participate. The annual challenge is being held again on Independent Bookstore Day (IBD), which is a one-day national party celebrating indie book stores on the last Saturday in April. Each store creates its own unique events—including guest authors, special kids’ story times, readings, contests, giveaways, and special sales. Visit TEN stores in one day and get 10% off at all bookstores listed below for an ENTIRE YEAR! Visit FIFTEEN stores in one day and get 15% off at all bookstores listed below for an ENTIRE YEAR! Facebook Event for the crawl here. 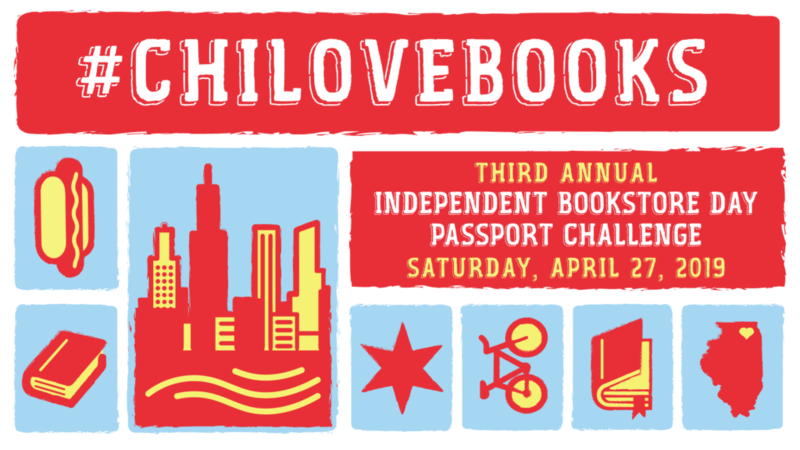 Tags: #ChiLoveBooks, #ChiLoveBooks Challenge, book crawl, ChIBA, Chicagoland Independent Bookstore Allliance, IBD, independent bookstore day, Independent Bookstore Day Crawl, Indie Bookstore Day. Chicagoland continues to prove itself to be the dream destination for book lovers and readers of all ages! More than two dozen independent bookstores in the greater Chicago area—from Lake Forest to Beverly, and Naperville to Andersonville—are collaborating on a second annual #MyChicagoBookstore Challenge, which encourages book lovers to indulge in bookstore tourism by visiting 10 or more stores in a single day. To begin their trip, readers can pick up a #MyChicagoBookstore passport and their first stamp with an initial purchase of $25 or more from the store of their choice. Visit TEN stores and get 10% off at all bookstores listed below for the ENTIRE YEAR! Visit FIFTEEN stores and get 15% off at all bookstores listed below for the ENTIRE YEAR! The #MyChicagoBookstore Challenge is being sponsored by the Chicagoland Independent Bookstore Allliance (ChIBA), an association formed in 2016 to raise awareness about the vitality of the area’s indie stores. ChIBA also maintains a Facebook page—#MyChicagoBookstore—where Chicago area bookstores post information about the readings and other literary events they host, acting as a central “billboard” for literary culture in the greater Chicago area. Quimby’s Bookstore, 1854 W. North Ave., Chicago 60622 / 773.342.0910 / quimbys.com / Quimby’s specializes in small press zines, books, comics and ephemera, favoring the unusual and the aberrant. 57th Street Books, 1301 E. 57th St., Chicago 60637 / 773.684.1300 / semcoop.com / The South Side’s neighborhood bookstore since 1983, 57th Street Books houses a substantial selection of general interest titles, including kids’ books, popular fiction, cookbooks, sci-fi, and mysteries. Abraham Lincoln Book Shop, 824 W. Superior St., Suite 100, Chicago 60042 / Open since 1933 and home of AuthorsVoice.net. The Book Bin, 151 Church St., Northbrook 60062 / 847.498.4999 / bookbinnorthbrook.com / This 45-year-old iconic Northbrook bookstore is renowned for its friendly, personalized service. Not a superstore—just a super store! The Book Cellar, 4736-38 N. Lincoln Ave., Chicago 60625 / 773.293.2665 / bookcellarinc.com / Your Independent Book Store in Lincoln Square! The Book Stall at Chestnut Court, 811 Elm St., Winnetka 60093 / 847.446.8880 / thebookstall.com / At The Book Stall you get great reviews, sage advice and recommendations, and personalized service for all ages and interests. If you love books, look no further than an indie store! The Book Table, 1045 Lake St., Oak Park 60301 / 708.386.9800 / booktable.net / We are a fiercely independent, discount new and used bookstore in downtown Oak Park. Bookends & Beginnings, 1712 Sherman Ave., Alley #1, Evanston 60201 / 224.999.7722 / bookendsandbeginnings.com / Cozy eclectic store nestled in an alley in the heart of Evanston. New & used books, gifts, outstanding cookbook section, kids’ books in 28 foreign languages. Bookie’s, 10324 S. Western Ave., Chicago 60643 / 773.239.1110 / bookieschicago.com / Now in its new, expanded location, Bookie’s has been providing books and gifts to readers of all ages on the South Side for over 28 years. Centuries and Sleuths, 7419 Madison St., Forest Park 60130 / 708.771.7243 / centuriesandsleuths.com / We have what you want, though you may not know you want it. City Lit Books, 2523 N. Kedzie Blvd., Chicago / 773.235.2523 / citylitbooks.com / Located in the heart of Logan Square, City Lit is a literary hot spot thanks to its well-curated selections of fiction, non-fiction, science fiction and children’s books, along with its rotating calendar of author events and book clubs. The Dial Bookshop, 410 S. Michigan Ave., Suite 210, Chicago 60605 / hello@dialbookshop.com / dialbookshop.com / The Dial is a used and new bookshop located on the second floor of Chicago’s historic Fine Arts Building on Michigan Ave, overlooking Grant Park. Magic Tree Bookstore,141 N. Oak Park Ave., Oak Park 60301 / 708.848.0770 / magictreebooks.com / The Magic Tree Bookstore: your locally owned, indie bookstore since 1984. Board books to YA, games to adult fiction–we have what your brain needs. West Loop, 651 W. Lake St., Chicago 60661 / 312.475.1355, x100 / westloop@open-books.org / Open Books is a nonprofit community bookstore that transforms lives through reading, writing, and the UNLIMITED power of used books. Pilsen Community Books, 1102 W. 18th St, Chicago 60608 / hello@pilsenbooks.org / pilsencommunitybooks.org / A used and new community bookstore in Pilsen. Proceeds help us buy books for classrooms in Pilsen and surrounding neighborhoods. Powell’s Books Chicago, 1501 E. 57th St., Chicago 60637 / 773.955.7780 / powellschicago.com / Since 1970, Powell’s has offered the best used and bargain books–all 20 to 80% off retail. Located in Hyde Park, 3 blocks west of the Museum of Science and Industry. Read It & Eat, 2142 N. Halsted St., Chicago 60614 / 773.661.6158 / readitandeatstore.com / Chicago’s destination for culinary books and experiences. RoscoeBooks, 2142 W. Roscoe St., Chicago 60618 / 773.857.2676 / roscoebooks.com / RoscoeBooks is a neighborhood independent bookstore for kids and adults who love books and love to read. Sandmeyer’s Bookstore, 714 S. Dearborn St., Chicago 60605 / 312.922.2104 / sandmeyersbookstore.com / Family owned and operated, Sandmeyer’s Bookstore in historic Printing House Row has offered the finest selection of books since 1982. Seminary Co-op Bookstore, 5751 S. Woodlawn Ave., Chicago 60637 / 773.752.4381 / semcoop.com / Widely regarded as one of the best academic bookstores in the world, the Co-op is located on the University of Chicago campus (next door to Frank Lloyd Wright’s Robie House) and has acted as an epicenter of cultural and intellectual life in Hyde Park since 1961. Volumes Bookcafe, 1474 N. Milwaukee Ave., Chicago 60622 / 773.697.8066 / volumesbooks.com / Hybrid bookstore/cafe catering to all of your boozy + caffeine needs amid a busy & eclectic neighborhood. Wicker Park Secret Agent Supply Co. and 826CHI, 1276 N. Milwaukee Ave., Chicago 60622 / 773.772.8108 / secretagentsupply.com / We encourage the exploration of endless possibility through the power of writing. Sales support 826CHI’s free programs for Chicago students. Women & Children First, 5233 N. Clark St., Chicago 60640 / 773.769.9299 / womenandchildrenfirst.com / Chicago’s feminist bookstore since 1979, we are as political as we are literary. Here’s the Facebook event thingy for this! Here’s a link to the #chibd18 Map so you can plan your trip! Art by Meera Lee Patel, author of Made Out of Stars, My Friend Fear: Finding Magic in the Unknown and Start Where You Are. Tags: #MyChicagoBookstore, independent bookstore day. 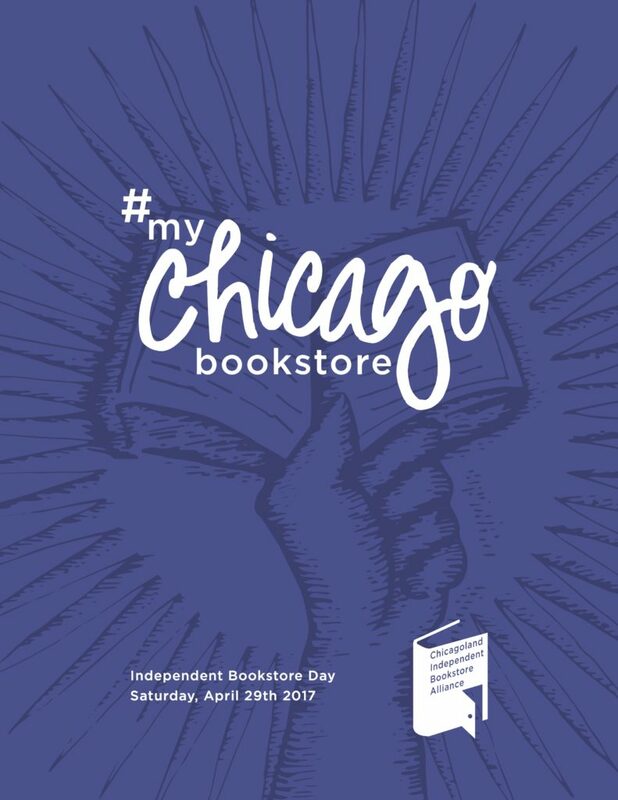 On Saturday, April 29th Quimby’s Bookstore, along with two dozen independent bookstores all over the Chicago area, are collaborating to make this year’s Independent Bookstore Day (IBD) an event that celebrates the vibrancy of Chicagoland as a dream destination for book lovers. Each store creates its own unique events and Quimby’s is no exception. Quimby’s is celebrating IBD in two ways. First, we welcome co-authors Steven Nodine and Eric Beaumont will celebrate the release of Brick Through the Window: An Oral History of Punk Rock, New Wave & Noise in Milwaukee, 1964-1984, celebrating our midwest sister city Milwaukee (because hey, let’s show some major metropolises the love on this one-day party). More info on that event at 7pm here. Secondly, Quimby’s will collaborate with at least 24 stores, jointly sponsoring the #MyChicagoBookstore Challenge, which encourages book lovers to indulge in bookstore tourism by visiting 10 or more stores on that one day. To begin their trip, readers can pick up a #MyChicagoBookstore carabiner and their first “luggage tag” from the store of their choice (from any of the independent bookstores listed below) with an initial purchase of $25 or more. Get it? “Luggage Tag,” as in Chicago being a dream destination for book lovers? As in, where books take you, somewhere?! SO CLEVER. Also, readers are encouraged to post a snapshot of themselves and their Independent Bookstore Day haul, and enter to win more prizes! The #MyChicagoBookstore Challenge is being sponsored by the Chicagoland Independent Bookstore Allliance (ChIBA), an association formed last year to raise awareness about the vitality of the area’s indie stores. ChIBA also maintains a Facebook page–#MyChicagoBookstore—where all member stores can post readings and other literary events to create one central “billboard” for literary culture in the greater Chicago area. Tags: #MyChicagoBookstore, Brick Through the Window, Eric Beaumont, IBD, independent bookstore day, Steven Nodine. In late-1970s Milwaukee, a compact circle of locals drew from their city’s cultural heritage, as well as the examples of New York, London and Los Angeles, to embrace the new in the form of a dynamic punk rock scene. Drawing on influences from 1960s garage rock and early ‘50s rock ‘n’ roll, Milwaukee punks created a formidable body of work. A new book published by Brickboys/Splunge Communications, Inc., tells the story in the words of the pioneers and participants. 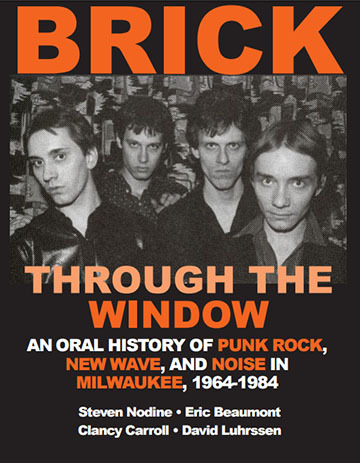 Brick Through the Window: An Oral History of Punk Rock, New Wave & Noise in Milwaukee, 1964-1984 chronicles a small number of people who made history in a setting that produced internationally recognized bands such as the Violent Femmes, Die Kreuzen, Plasticland and Oil Tasters. Original interviews with such visionaries as the late Mark Shurilla and Richard LaValliere tell stories of imagination, creativity, resourcefulness and sacrifice. Compiled from hundreds of hours of interviews, Brick Through the Window brings vividly to life a short-lived period of creativity and excitement in a heartland American town that was home to a musical subculture more prolific and diverse than that of many larger cities. And guess what? The last Saturday in April is Independent Bookstore Day (IBD), so enjoy it here with this extraordinary book! 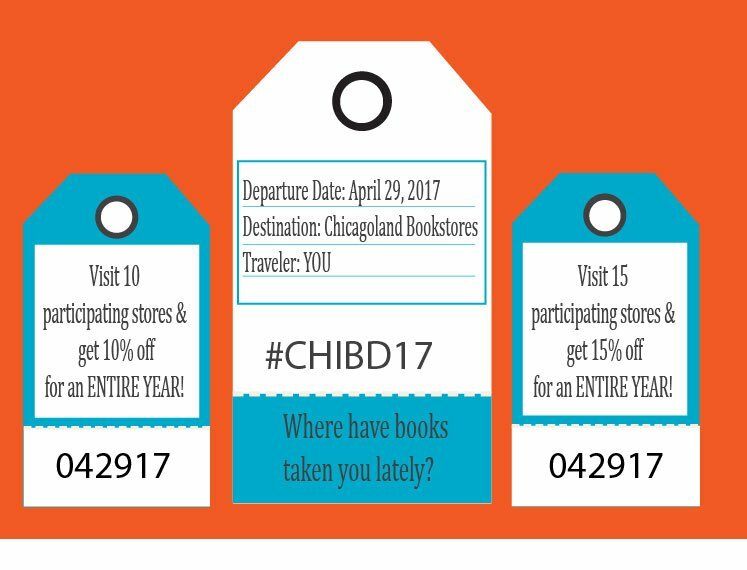 Click here for more info about taking the #MyChicagoBookstore challenge for an opportunity to get discounts on books! Co-authors Steven Nodine and Eric Beaumont will celebrate the release of Brick Through the Window with a discussion and book signing, with recordings of music mentioned in the book. Invite your friends with the Facebook invite for this event! 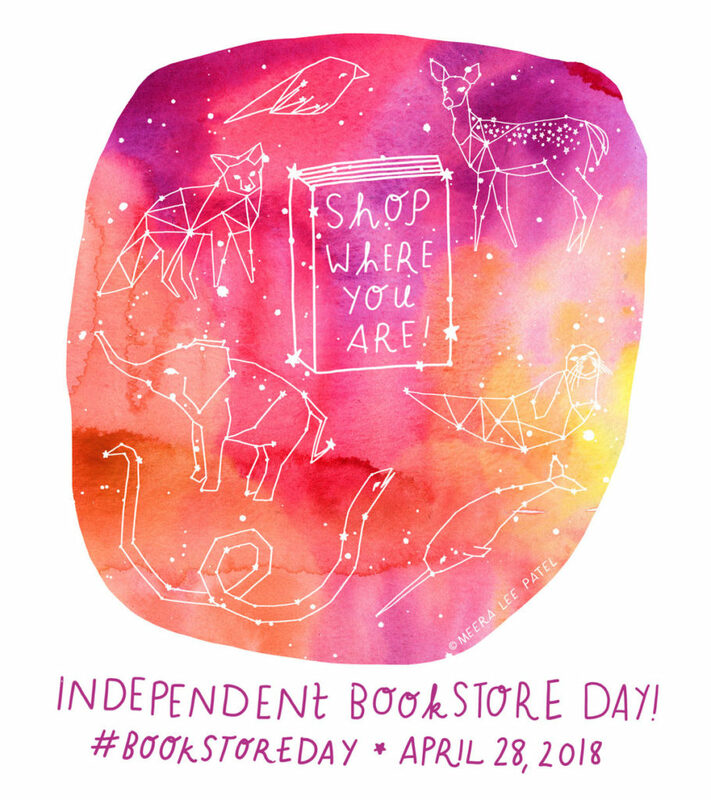 More info about Independent Bookstore Day here! Tags: #MyChicagoBookstore, Brick Through the Window, Eric Beaumont, IBD, independent bookstore day, Indie Bookstore Day, Milwaukee, Oral History of Milwaukee Punk, Steven Nodine. Have you heard the good news? This year both Free Comic Book Day and Independent Bookstore Day fall on the same awesome Saturday (May 2)! Come to Quimby’s for free comics PLUS popcorn and Quimby’s-centric movies playing all day long. Pop a squat with some corn and be awed by the rad collision of a mega-bookstore event. Tags: chilling hard, independent bookstore day, movies, popcorn, snacks.